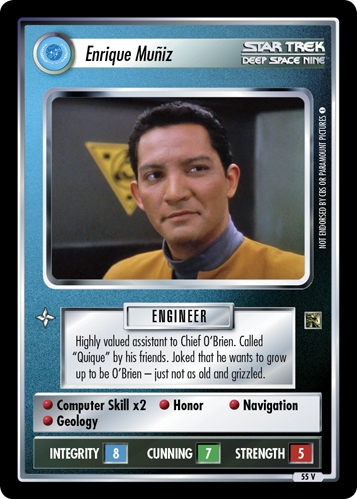 Highly valued assistant to Chief O'Brien. Called "Quique" by his friends. Joked that he wants to grow up to be O'Brien - just not as old and grizzled. Image Source: Deep Space Nine: "Hard Time"